Nice poem, but it doesn’t remind me of Tooker whom I just looked up because I’ve never heard of him. He’s got some weird stuff that belongs in another universe. His faces are really fucked up and some of the paintings are pretty bad. Interesting guy, though. Thanks for liking “Brown Water,” Pop — and ‘floury” is one of my favorite words in the poem too. I don’t know if you had a chance to see the two stanzas from “Works & Days” I posted as well — you have to click on the postcard painting to see them. I chose to put George Tooker’s “Dark Angel” painting together with “Works & Days” in this post partly because, like him, I’m a very slow artist. He chose to use an old-fashioned, unusually difficult and time-consuming medium called “egg tempera” in his work, one which involved the delicate, painstaking application of layer after layer of paint over a long period of time. Indeed, the technique was so slow that he only had time to complete a few paintings a year. That’s similar to me. I took well over 10 years to finish “Works & Days,” and I’ve still not published it. 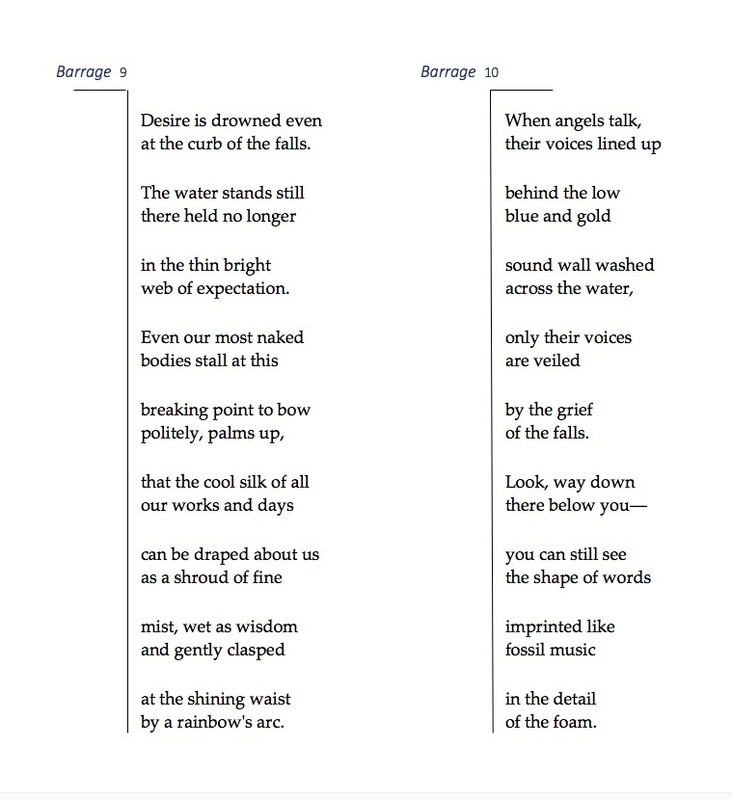 And the poem is just as bare as a George Tooker composition as well, and I can only hope that it rewards the reader with a bit of the sense of uncluttered, untrammeled, and above all unpretentious effort that George Tooker achieved in so many of his paintings. And I won’t even mention the extraordinary radiance that was generated in the process. “We writers have to be true to our size if we truly want to “make it new.” Most of the time that means scaling it down rather than up. “But I love the Sri Aurobindo anyway even if it makes me feel small — people used to write bigger, but that doesn’t lessen us as long as we’re true to our size and our span. 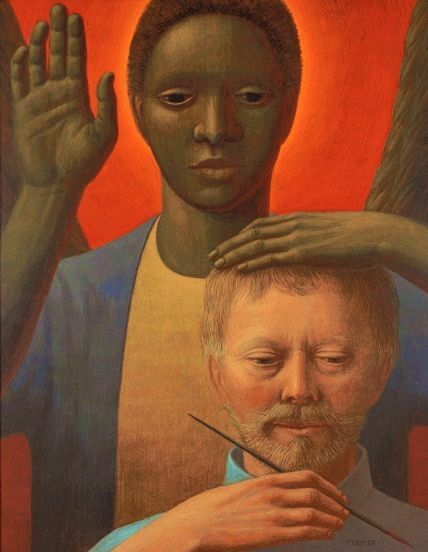 Another starting point in “How the Djinn Gets Out of the Bottle” was the fact that George Tooker painted “Dark Angel” when he was 75, almost the same as I am today, yet he chose to portray himself in it as a very young man with a very precise, slender, whippet-like brush. This too is how I am in my work today — at my prime and yet at the same time just at the beginning. So that’s how this whole thread began. Chris, Tooker is growing on me, as are you. I like the barrages. At first, I was mistaking the word for “gunfire” or something. Then I thought it was the word for a large flatboat. I don’t know French. Good stuff. You’re making me think over here. I need a beer.